These medals are not to be found on the chests of heroes or in athletes’ lockers. They are the contemporary expression of a much older tradition of medals as works of art. The British Art Medal Society has commissioned medals from many distinguished contemporary sculptors. Their work is extremely varied. There is portraiture and abstraction, the neo-classical, the conceptual and the satirical. Some are struck from hand engraved dies, the majority are cast in bronze and patinated by the artist. On our website you have the opportunity to browse through the gallery of medals. Some medals are for sale as limited editions, and we also have a selection of books. 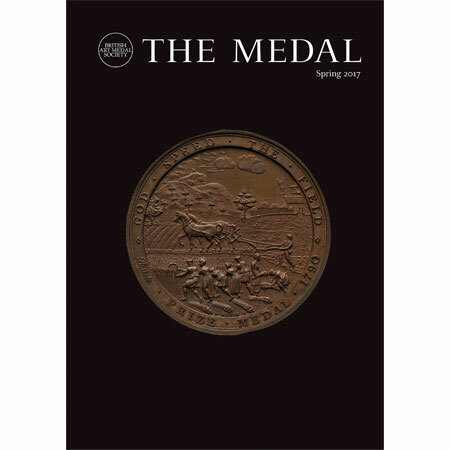 You can subscribe to our magazine, The Medal, and find details of membership, whether as a contributing artist or interested viewer. PLEASE NOTE THAT WE CAN ONLY SELL MEDALS TO MEMBERS OF THE SOCIETY, SO DO JOIN BAMS SHOULD YOU WISH TO PURCHASE.